Kids love fish. They find them interesting and engaging. Fishing for Fun is a thematic unit developed around their natural interest in fish. 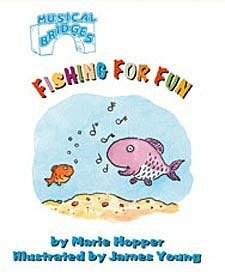 Fishing for Fun is not about fishing; it is a book and tape collection about teaching and educating children aged three to eight using the theme FISH. Written for the general classroom teacher, it features fascinating, engaging activities in nine different content areas including math, science and art that will allow children to explore, discover, learn and share.